Looking and sounding the part, The Rolling Rockers are a compelling throwback to the legendary artists of the 50s and 60s! 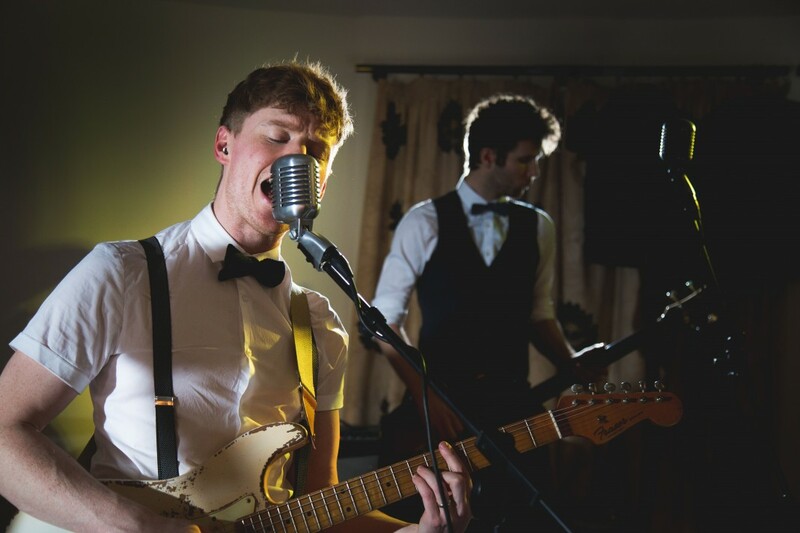 Dishing out their reliable mix of covers from rock 'n' roll to rockabilly, vintage pop, blues, jazz and soul, your event will be just as memorable as the songs they perform. 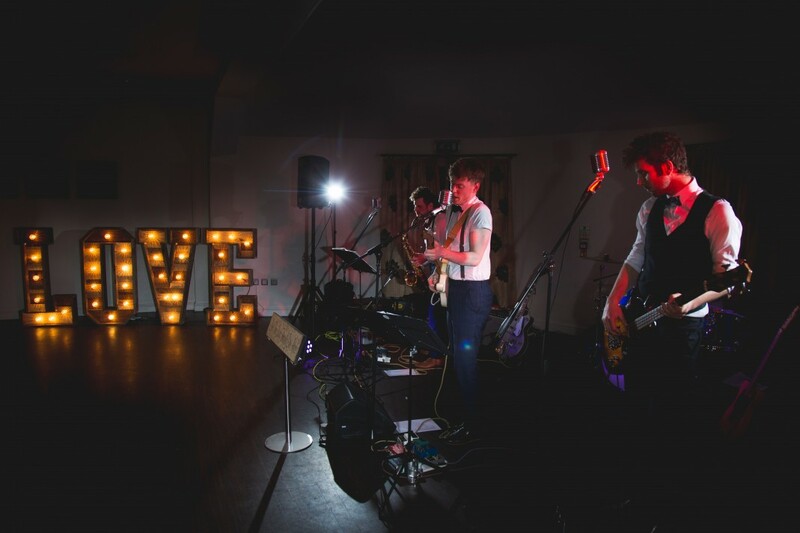 From Buddy Holly to Dion, Elvis Presley, Johnny Cash and even a bit of Jimi Hendrix, these guys have a repertoire to suit everyone, and since the band can end up playing up to 50 songs in a single night, every guest is sure to hear a song they love. 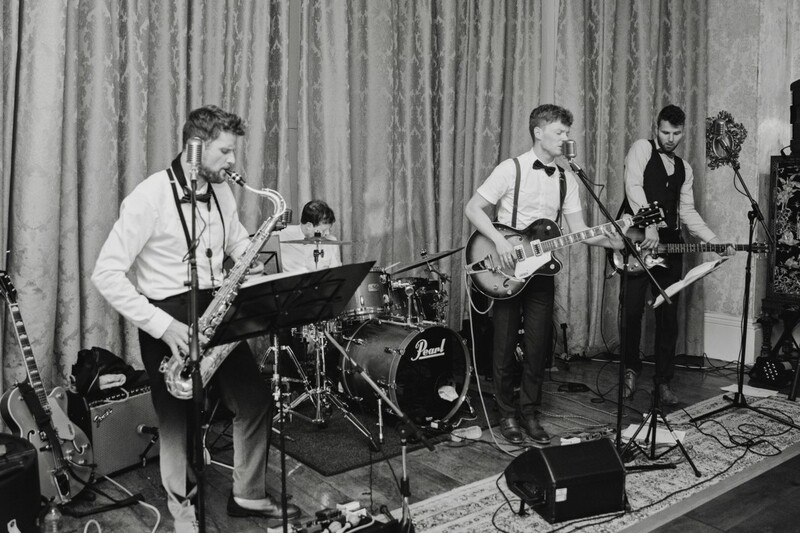 With the tried-and-tested 4-piece line up of guitar, bass, drums, sax (or two guitars), and plenty of harmonising vocals, The Rolling Rockers will get you feeling good from the moment they amp up! 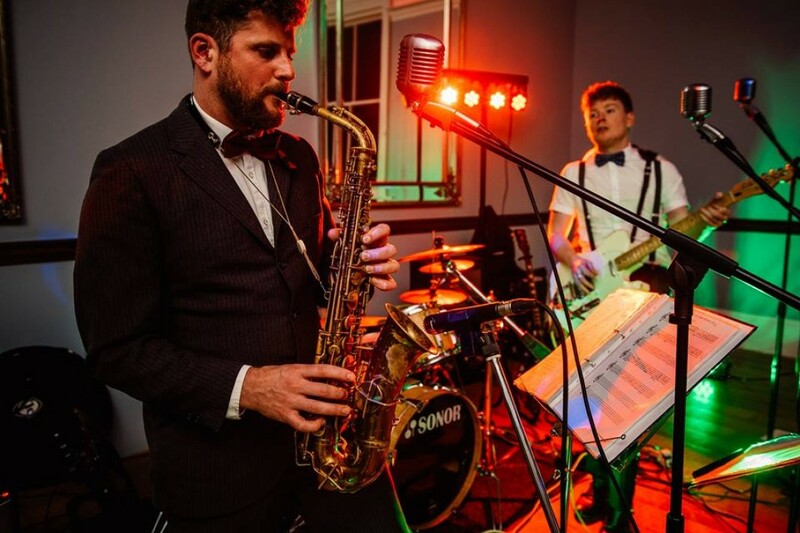 For 5 years The Rolling Rockers have been playing for shows all over the UK, and have appeared at the promo party for E4's Stephanie of Made in Chelsea fame, as well as for Princess Anne at St James's Palace. 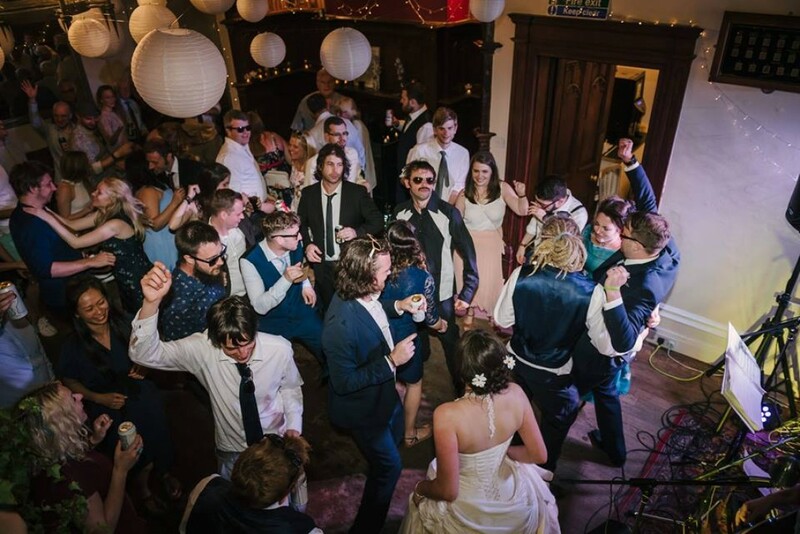 Not only dedicated to making the songs sound just as they did when they were recorded, and providing a super night of dancing for all your guests, the guys are amicable and always go above and beyond the call of duty. 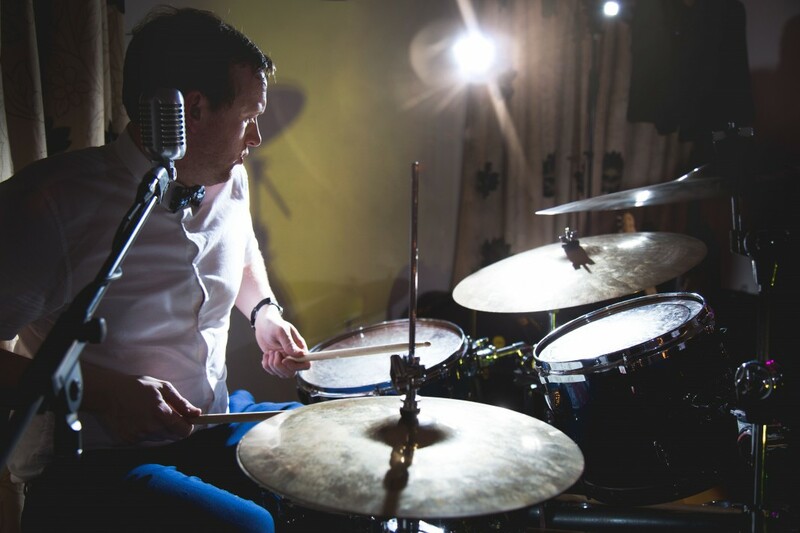 Between sets you'll receive playlist music if desired, keeping the mood high and the atmosphere buzzing even when the band aren't playing, and The Rolling Rockers will learn your first dance plus one extra special request. 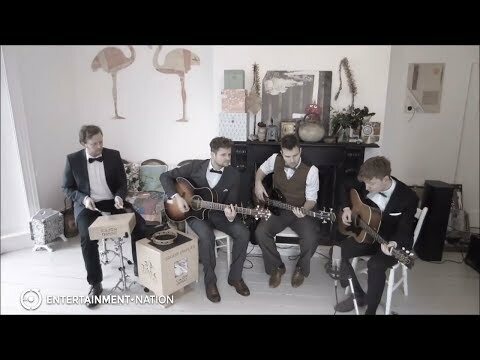 They provide their own PA and lighting which suits the vintage aesthetic, and if you want some less rambunctious sets, the band offer afternoon acoustic performances perfect for some more mellow listening. Jive, swing and bop with The Rolling Rockers! 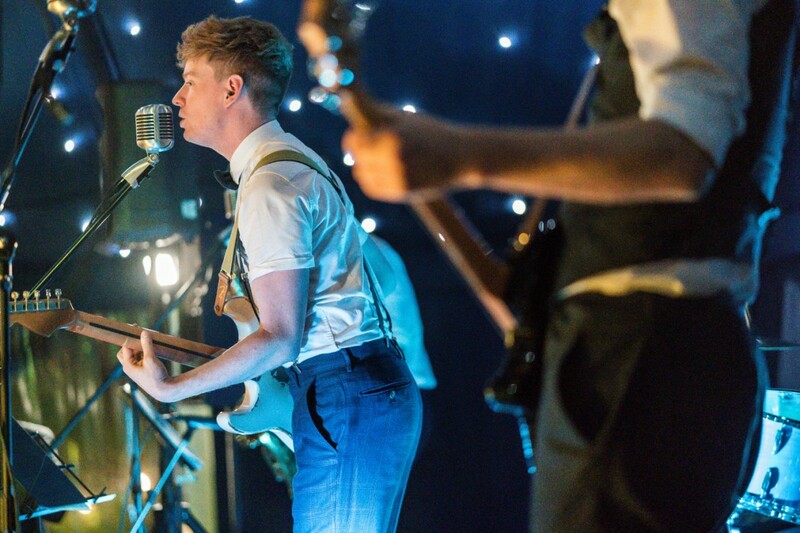 Book this distinctive vintage band for your event nice and early so you don't miss out. Prices are based on a 5pm or later arrival and Midnight finish, including 3x40 minute sets of live performance. Approximately 45 minutes are required for the act to set up and sound check (depending on access to the performance area). "We wanted to say massive thank you for Saturday night. You were exceptional and just made the evening. 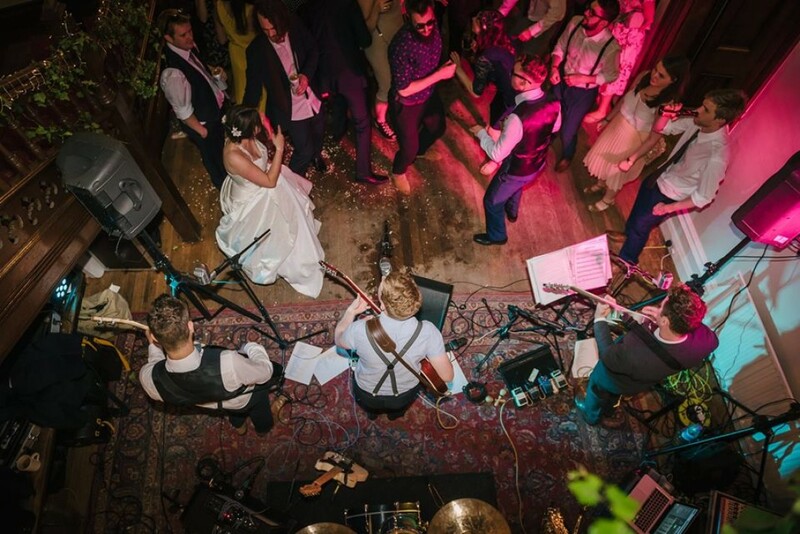 All of our guests commented on how excellent you were and we feel privileged to have had you play at our wedding. We thought you were absolutely fantastic and it was a shame the night had to end, as everyone was having a great time dancing and singing along with you!" "A HUGE thank you to you all, absolutely loved every song!! Looking for an excuse to arrange another party now so we can book you again." 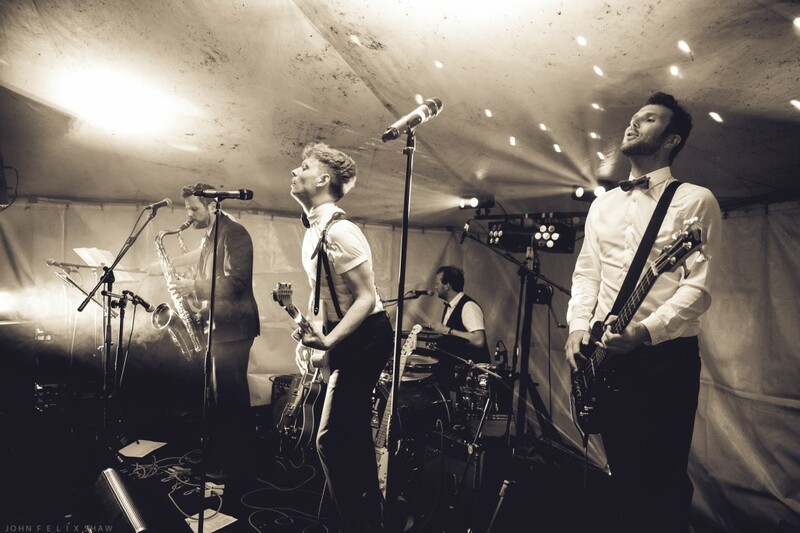 "Massive thanks for a wonderful evening of music at our wedding. We loved every minute of it and watching 4 generations of our family all dancing and enjoying themselves was magical. We could not have asked for more and can't wait to see you guys perform again soon!!!" 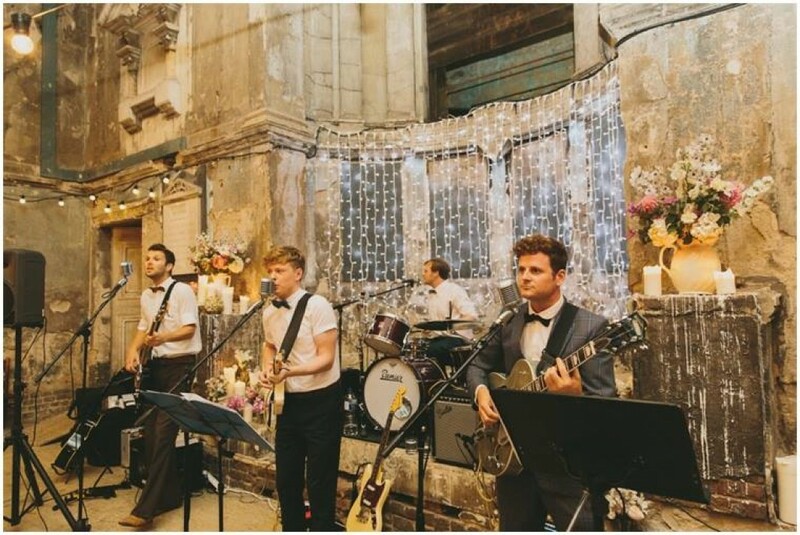 "From start to finish they were a pleasure to deal with - totally professional and both really talented musicians when it came to the actual performances! Despite the fact that they mainly play 50s and 60s stuff, Natalie really wanted to walk down the aisle to 'Starlings' by Elbow. They put together their own version of this just for us - and it was truly awesome (I'm not ashamed to say it brought a tear to my eye either)!" "Just wanted to say a huge thank you to you all for playing our wedding. It was wonderful. I would book you guys again in a heartbeat. You were just great, everyone commented how fantastic you all were. Thank you very much for making my wedding day amazing!" "You guys were amazing! Can not thank you enough. Learning our song too, you made our day! Every person in the venue said how amazing you were and asked how we managed to find you! Luckily for us our friends captured the first dance on video so we can listen again and again! Love from us both." "Thank you so much for helping to make our wedding day so special! 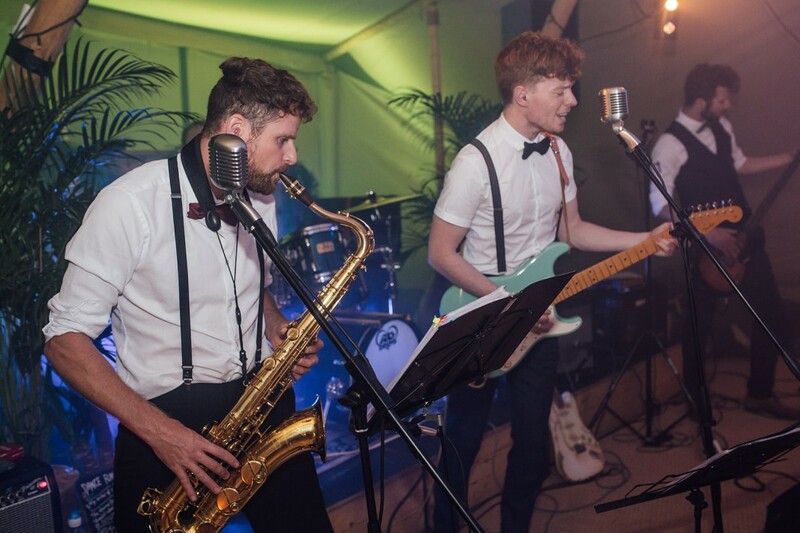 It was really important to us that our wedding had a relaxed and fun atmosphere, and The Rolling Rockers fitted the bill perfectly. They looked and sounded great, and their enthusiasm whilst performing was infectious, getting everyone up dancing, from the children to our older relatives and everyone in between. The music was upbeat and fun, and its widespread appeal across generations made it perfect for a wedding. It is a sure sign of their talent that a couple of months on our friends and family are still talking about how much they enjoyed the band." 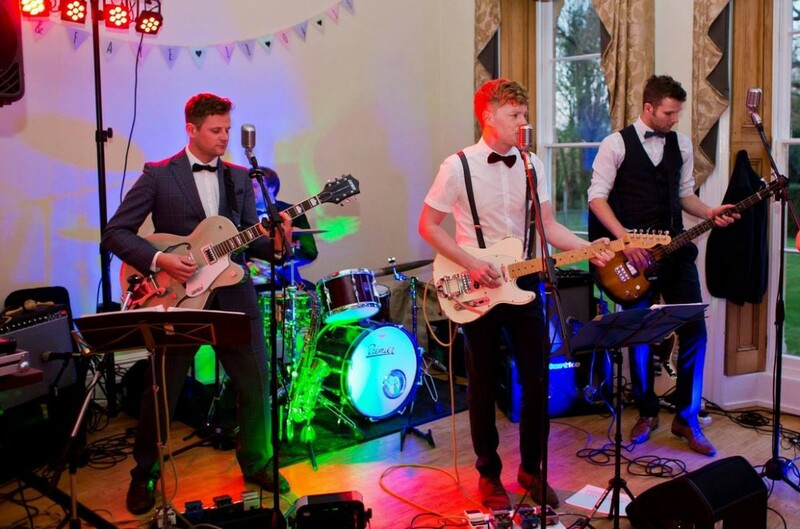 "The Rolling Rockers were absolutely amazing when they played our wedding in August! The dance floor was packed all night long and when it got to 12.30 and their set had finished and we realised we hadn't put a playlist together for the last half hour they very generously let us keep their equipment going and use their playlist till the end of the night! So many people have commented on how incredible the band were since! Fully recommend these guys! We loved every second!" 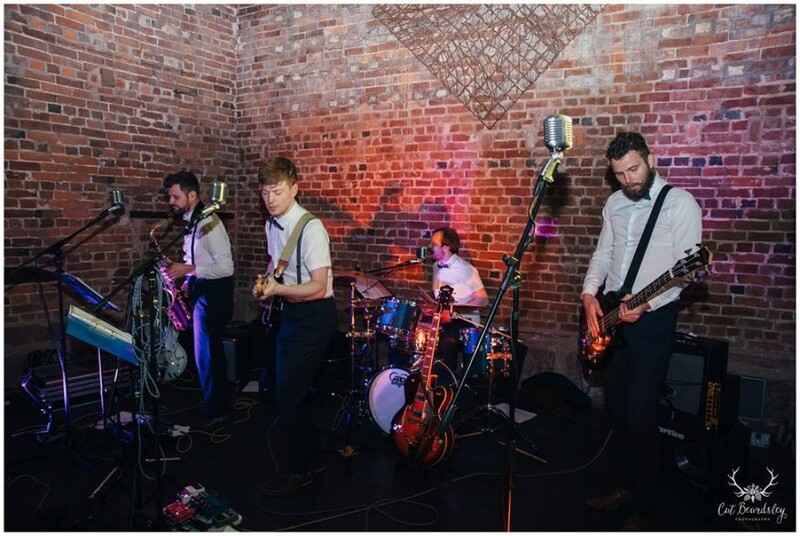 "My wife and I booked The Rolling Rockers to play our wedding held a few weekends back and we were absolutely blown away by them! Their sound and deliverance were fantastic, everyone was up and dancing straight away. They looked the part and could really knock through their set-list. 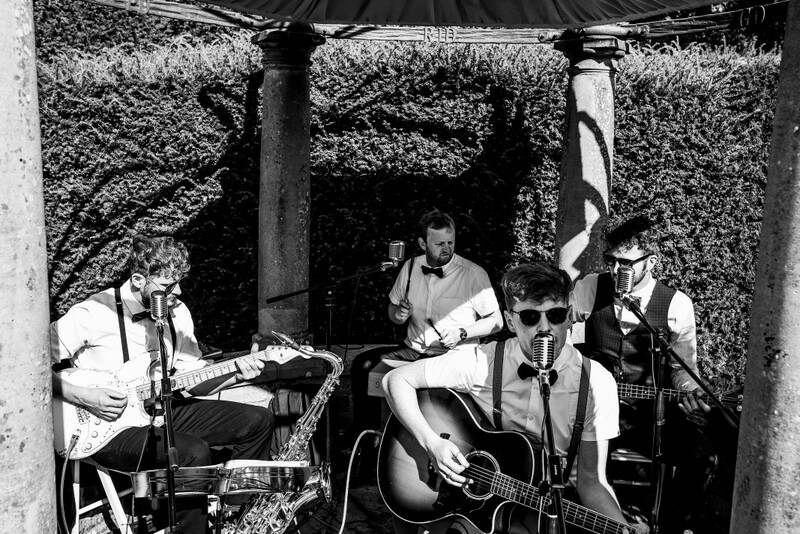 We've had so many compliments from our family and guests about the band and they really were one of the biggest highlights of the day." 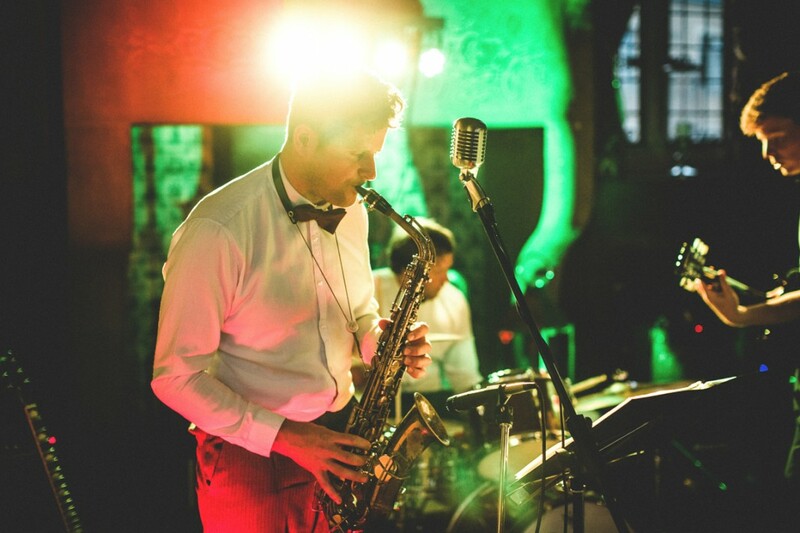 "Theses guys made our themed 50s wedding everyone was raving how amazing they were!! Book them no joke! 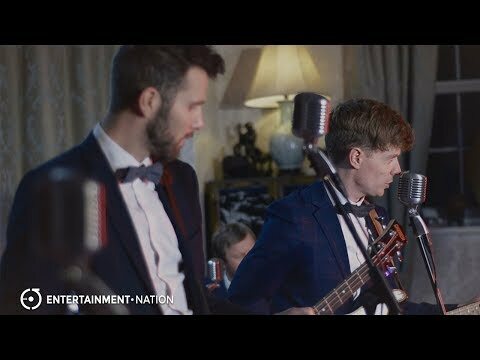 These guys are such talented musicians it's like you step back in time!" "The Rolling Rockers were everything we had dreamed of. They totally looked the part, which really added to the whole atmosphere and aesthetics of our wedding. They were extremely easy to work with: polite, friendly, enthusiastic and easygoing. And most importantly they sounded fantastic; they put together a first dance medley upon request and we had so many positive comments from guests. The dance floor was rocking from start to finish. 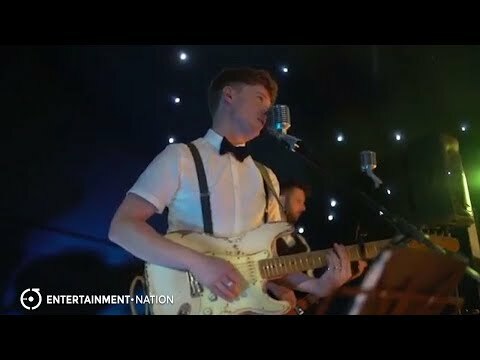 I would highly recommend The Rolling Rockers for any occasion. Awesome!!"